Foxconn has come to Wisconsin, literally. 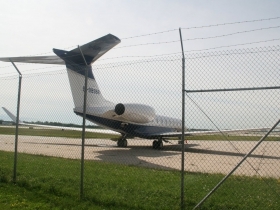 While the company and state are still rumored to be negotiating over an electronics factory that could employ 10,000 people, a private jet affiliated with the company has landed at General Mitchell International Airport. It’s parked just outside of the observation area along E. Layton Ave. 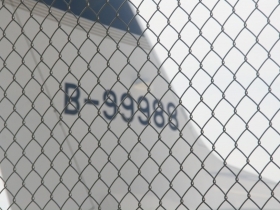 The airplane arrived in Milwaukee at 3:06 p.m. Sunday, having departed Long Beach Airport near Los Angeles, CA at 11:41 a.m. What Foxconn executives, perhaps including founder and chairman Terry Gou, have been up to in Wisconsin since then is unclear. But the village boards of Mount Pleasant and Sturtevant are scheduled to meet in closed session this afternoon to discuss “a potential future development project in Racine County.” It’s hard to imagine that’s about anything other than Foxconn. The company is expected to build a $7 billion plant to manufacture display panels for televisions as part of a massive U.S. expansion that could employ up-to 50,000 people according to company chairman Gou. 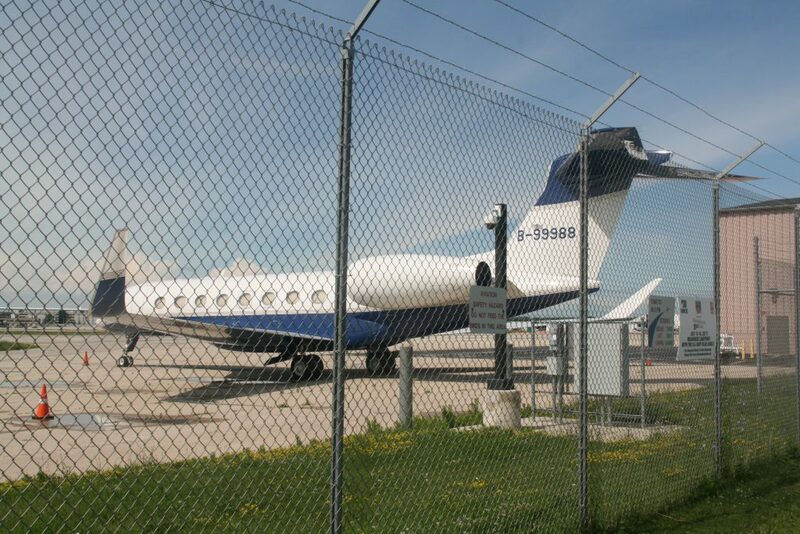 The Foxconn airplane is a Gulfstream G650. It’s registration (B-99988) identifies its country of origin as Taiwan where Foxconn, known formally as Hon Hai Precision Industry Co. Ltd, is headquartered. 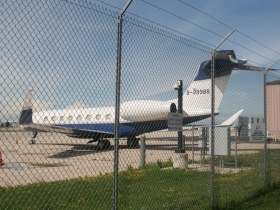 The jet has a retail price of $65 million. It was purchased on March 21st, 2016 according to Corporate Jet Investor. The company was originally scheduled to build a factory in Pennsylvania in 2013, but work on that has yet to move forward. This would be absolutely huge news. Trying not to get my hopes up too much, but this would be such a feather in the cap of Wisconsin, and our mounting ‘jobs Renaissance.’ Great for a community like Racine, and this could also draw people across the border from Northern IL to work as well. Hopefully they won’t need to install safety nets around their buildings to thwart suicides. Fundamentally this is great news, but it’s sad to see it be a car-dependent wasteland style development. I’d take half the jobs if this were placed in a legitimate urban environment. But hay, can’t complain if this happens! Tyrell hit it on the nose! Another project to expand “roadway development” etc, that ignores the needs of cities. Car centric America is doomed if we don’t turn this around soon. While this appears to be great news just remember that FOXCONN failed to follow through on plans to build a plant in Pennsylvania. If the company actually selects Wisconsin for one of its plants it could also spark the economy in other ways such as increased demand for suicide netting which could benefit Carron Net Company Inc. of Two Rivers Wisconsin!!! Sharon, reports of “car centric America’s” death are greatly exaggerated. While I understand having issues with the potential ex-urban location that would require driving, my understanding is they require 100+ acres for their plant, and close proximity to the interstate. If Ikea spent years trying to locate a 25-40 acre parcel, I can understand why it would necessitate locating further out from population centers. @John – IKEA obviously needs to be close to the urban center to be within a short drive of many customers. The RFP for Foxconn specifies 1,000 acres, so they’re looking for something roughly similar in size to all of the Menomonee Valley (1,200 acres). So yes, they’re going to end up on the fringe somewhere.